Pumponator. - Eureka Concepts - How good is that?! Pumponator is as easy as ONE-TWO-THREE! ONE - Fill Pumponator with water. TWO - Action 8-10 times to build pressure. 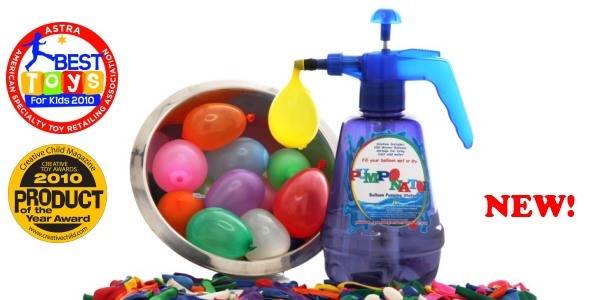 THREE - Easily insert one of the balloons on the special nozzle, press the trigger to fill your balloon and you've got a water bomb ready for mischief!